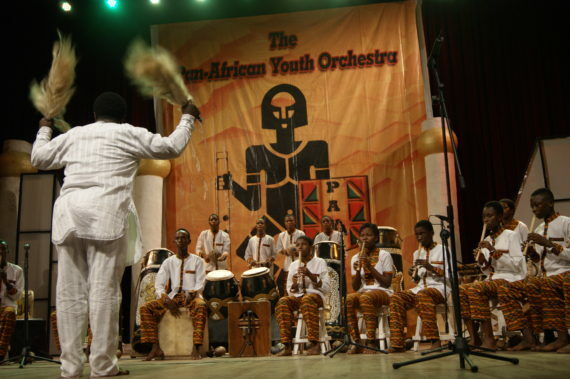 Orchestral music lovers in Accra were last week treated to a magnetic concert by the Pan African Youth Orchestra together with kologo virtuoso Atongo Zimba and singer Elivava Mensah. 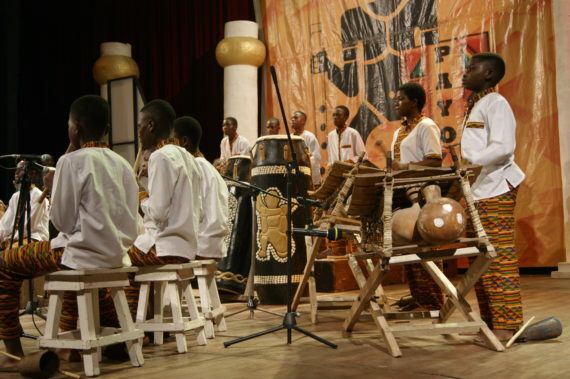 Performing at the National Theatre in Accra alongside the orchestra, Zimba, who is noted for a distinct voice, inundated the hall with wild sounds from his kologo – a two stringed instrument that originated from the Upper East region. 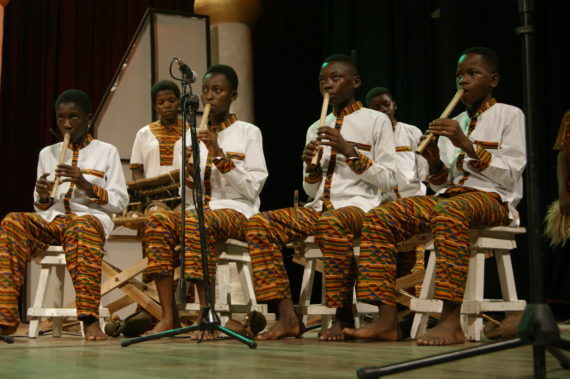 With lyrics that are charmingly simple and often make references to tales from his native Bolgatanga – his skills on the kologo revealed a sharp contrast as complex orchestrations emanated from this simple calabash instrument that has been internationalized by a couple of Ghanaian musicians. 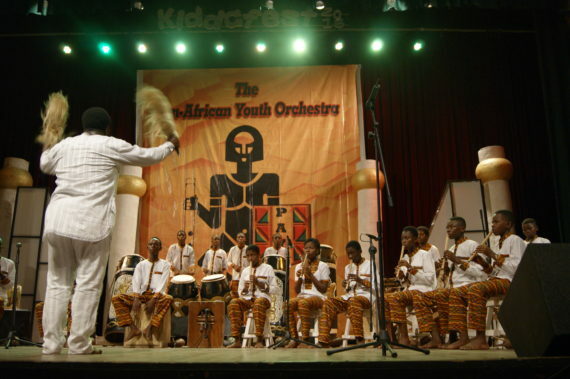 Conducted by Kweku Kwakye, the youth orchestra made melodramatic explorations in the compositions of the late Nana Danso Abiam, whose exploits on the atenteben flute led to the playing of complex notes and blending with various instruments from diverse parts of the world. 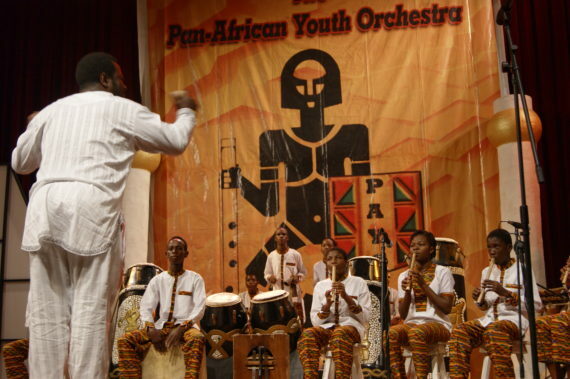 “Zimba’s baritone voice together with diverse rhythms from the orchestra turned the hall into a mini African celebration – we need more collaborations between senior musicians and the orchestra”, said Kofi Adu, a retired pharmacist in Accra. “We need more youthful groups in Accra. 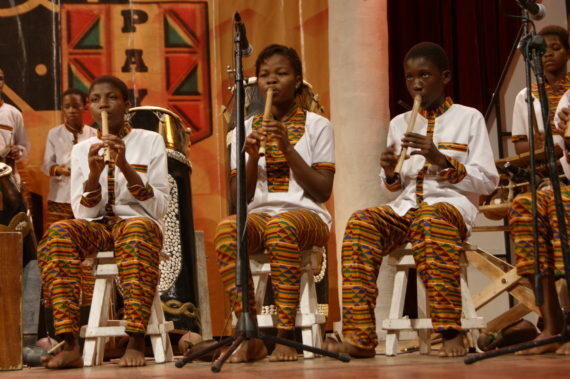 I am really fascinated by the raw talent and craftsmanship exhibited on stage – the state of Ghana must take on this group and nurture it”, added Yaa Manu, a musician in Accra. 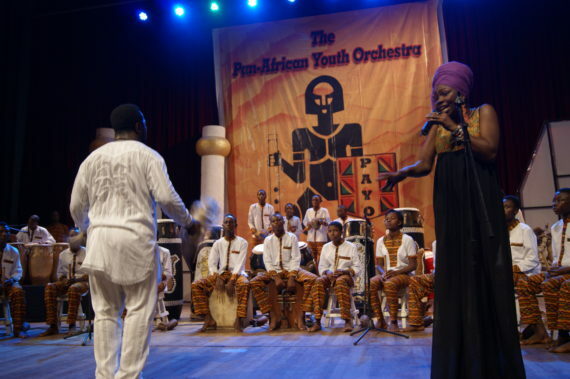 Singer Elivava Mensah joined the orchestra as they presented discoveries into the compositions of the late King of Afro Beat, Fela Anikulapo Kuti. 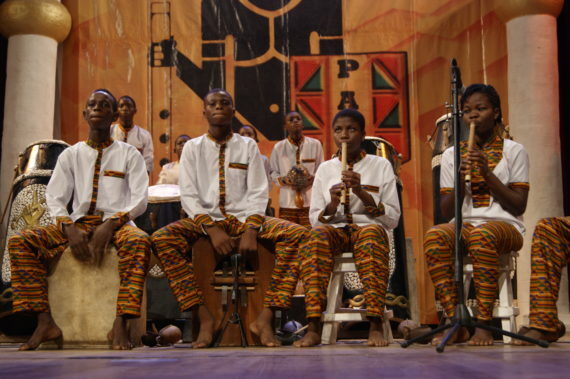 With an array of traditional instruments, the orchestra worked its way into the hearts of member of the audience with astonishing artistry. 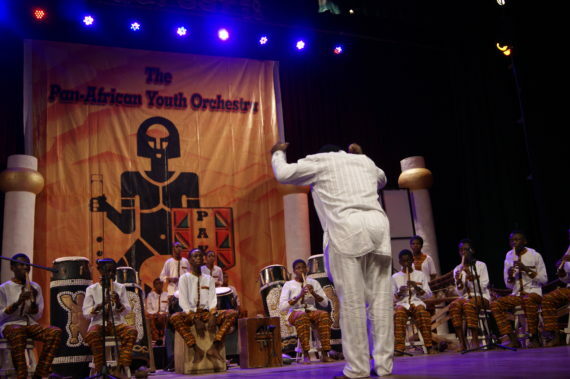 Noted for her sleek voice and a superlative stagecraft, Mensah led the orchestra into a refreshing mode as cheers flowed from the audience – a cool reminder that the group is the most promising young orchestra to emerge in Ghana over the past several years. The orchestra is set to go on a performance tour of the United States in the early part of 2017. 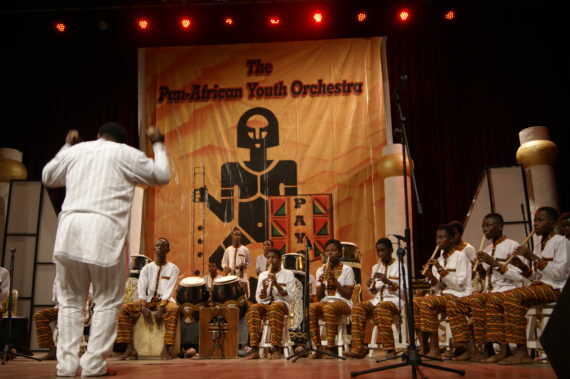 National Theatre of Ghana organized the performance in collaboration with the Pan African Youth Orchestra.